To make the base Stinger an even better bang for the buck, Kia has loaded it with a greater of standard features. While a set of 18-inch machined finish wheels enhance the sedan's styling, blind-spot monitoring gives you a better sense of awareness on the road. Furthermore, a suite of advanced driving aids now come standard on the Stinger Premium. The 2019 Kia Stinger offers a total of five trims: base, Premium, GT, GT1, and GT2. Even the base Stinger comes well equipped. Aside from the previously mentioned standard features, you'll also enjoy niceties like a 7.0-inch touch screen with smartphone integration and leather upholstery. If you desire a more luxurious driving experience, step up to Stinger Premium. Its 15-speaker Harman Kardon enables music fans to really rock out. LED headlights are found on the Premium trim as well. Drivers seeking more performance should check out the Stinger GT. Not only does the Stinger GT pack more power under the hood, but it also features upgrades like adaptive suspension dampers for improved ride control. While the GT1's ventilated front seats reward you with more comfort, a head-up display and a surround-view parking camera come on the range-topping GT2 trim. 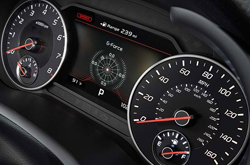 When checking out the new 2019 Kia Stinger, you'll have two exciting engines to pick from. The base power source is turbocharged four-cylinder engine, which pushes out a satisfying 255 horsepower and 260 pound-feet of torque. 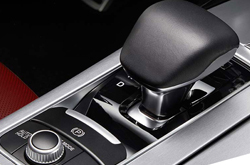 A quick-shifting, eight-speed automatic transmission comes standard throughout the lineup. 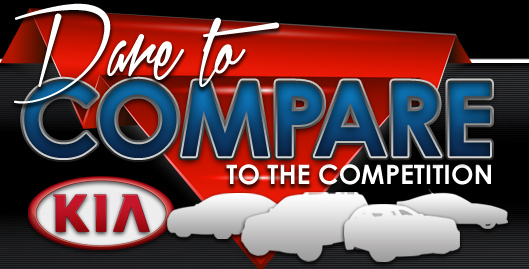 Idle Stop and Go technology helps optimize fuel efficiency. 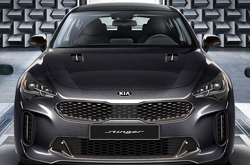 For the drivers who demand more performance, Kia offers a twin-turbo V6 engine. It develops a thrilling 365 horsepower and 376 pound-feet of torque. Look forward to experiencing especially strong acceleration off the line. Meanwhile, standard Drive Mode Select allows you to adjust the Stinger for your preferred driving style. Available as an option, all-wheel drive enhances traction in bad weather. While there's no overlooking the Stinger's exciting performance capabilities, it also proves to be a secure family hauler. A high-strength steel construction helps ensure excellent impact protection. A number of helpful safety innovations come standard. When on an incline, Hill-Start Assist Control helps prevent the Stinger from rolling backwards. Meanwhile, Cornering Brake Control helps you take curves with an extra measure of confidence. Advanced driving aids make the Stinger an even safer sports sedan. Every driver will appreciate the standard blind-spot monitor with rear cross-traffic alert, which seeks to detect unseen vehicles. Moving up the trim ladder gives you access to more safety innovations. Some of the highlights include forward collision warning with automatic braking, lane-keep assist, and smart cruise control.